Nothing quite announces the arrival of Summer each year in Australia like the Australian Open. (And cricket, swimming at the beach, Mangoes, Cherrys and the hum of Cicada’s). In January, thousands head to the iconic Rod Laver Arena in Melbourne to watch the superstars of tennis, battle it out on the Rebound Ace surface in the fierce summer heat. In a city where live sport is part of the culture, Melbourne caters very well to tennis tragics. So even if you can’t make it to see a match, you will be able to join the throngs of non tennis goers to live sites and festivals throughout the city. Enjoy the the free, family-friendly Australian Open Festival at Birrarung Marr. Enjoy pop up food stalls, bars and cafes set amongst big screens. Check out their facebook page for up-to-date information. For some live entertainment head to the “AO Live Stage” which is one of Melbourne’s hottest parties. Returning this year with 15 days of consecutive music, including the hugely popular Coopers’ Saturday. They will be hosting the likes of Client Liaison, TLC, Tina Arena, Rudimental, Illy, Hoodoo Gurus and plenty more amazing acts. 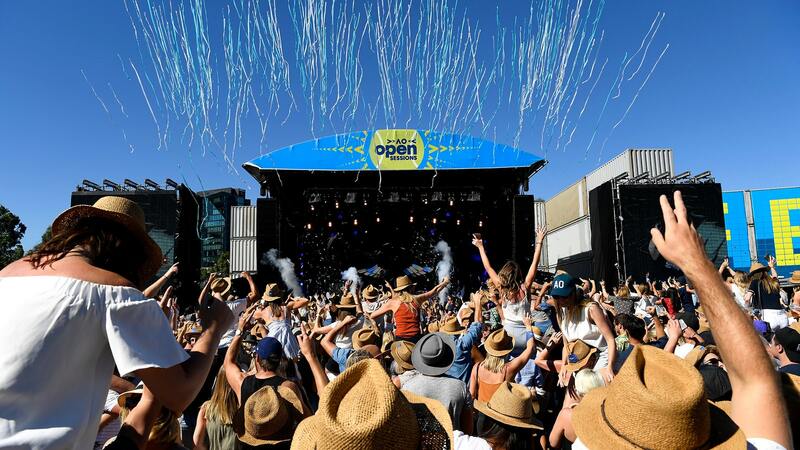 To kick-start 15 days of music, a fundraiser event will be held on the eve of the Australian Open, Sunday Jan 14, and will be headlined by the Australian icon Jimmy Barnes. Be part of this amazing line-up and get your tickets here now! The Riverwalk at Crown is close to Melbourne Park and offers an exciting location to soak up all the action. Allot of the big stars drop by and spectators can sit and watch the big screen overlooking the scenic Yarra River. 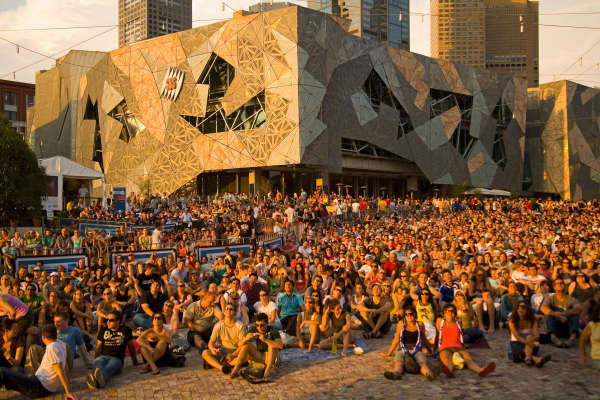 Federation Square is located in the heart of the city and offers nearby cafes and bars along with significant shaded areas. Grab a spot in the forecourt and sprawl out on one of the supplied comfy bean bags. 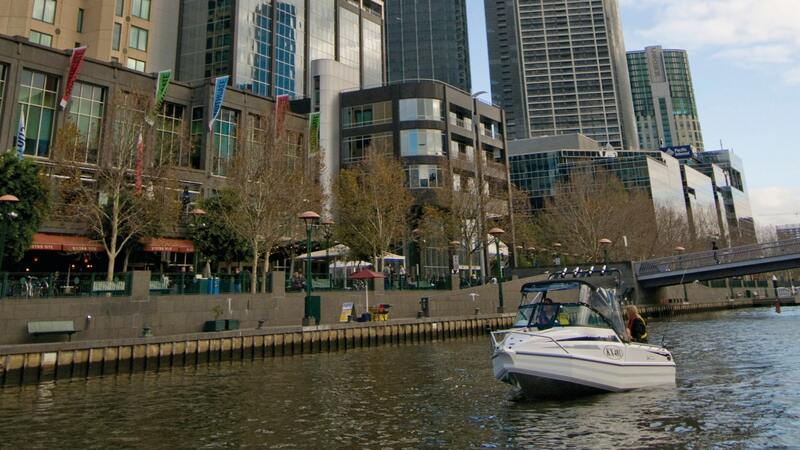 For something a little different, take a water taxi along the Yarra River to Bluetrain. This popular Melbourne Bar will be screening every game live. Mix with locals in this modern pub with a great menu. Melbourne is a wonderful city to visit any time of the year. With its European feel and wonderful cafe and bar scene, it wont disappoint. 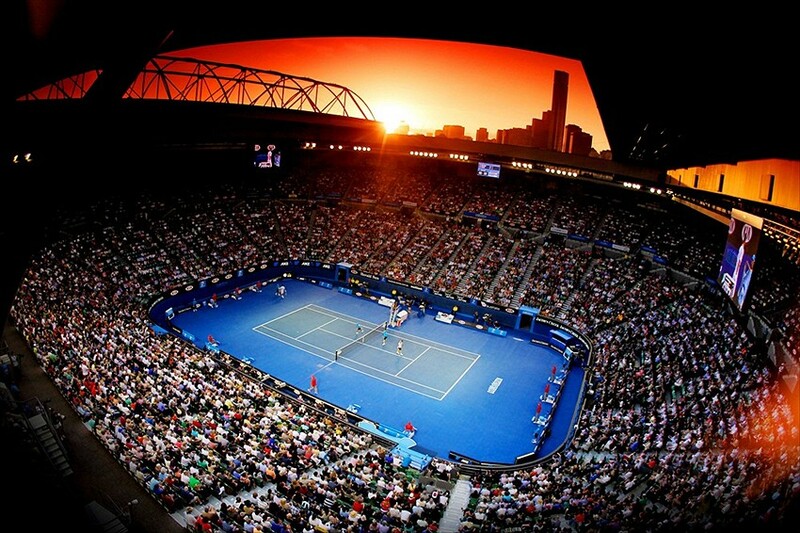 The Australian Open adds a different feel to the already vibrant city and you are sure to enjoy the experience. Visit our website or contact one of our consultants for more information!